This past weekend was Swedish Midsummer and it’s one of my favorite holidays of the year, Swedish or American. It was on Friday but this year the Swedes in LA decided to celebrate on Saturday, I guess to make sure people didn’t have to work and everyone could come. The celebrations in LA are pretty tame, mostly because I think it’s still just starting out and the park’s space is limited. I do have to say, I absolutely LOVE the celebration in Battery Park in NYC. Two years ago, you could see the storm clouds slowly moving through the sky. When it finally hit the park, we hid under our picnic blankets, sang snaps songs and took shots of Aquavit. Once the rain passed, we just continued on singing, eating, and dancing. Oh, and drinking. I just love my Swedish side. The funniest part is hearing Swedes try to explain the holiday. I don’t really know how to. We celebrate the Friday of the summer solstice, dance and sing around a Maypole, eat, drink, wear flower crowns, and celebrate the longest day of the year. It’s amazing and so much fun. Anyway, that’s how I spent my weekend, other than working. Oh, and other than seeing The Fault in Our Stars. It was SO good and such a good adaptation from the book. I really wish I brought tissues with me because the amount I cried was unreal. So that was my weekend. 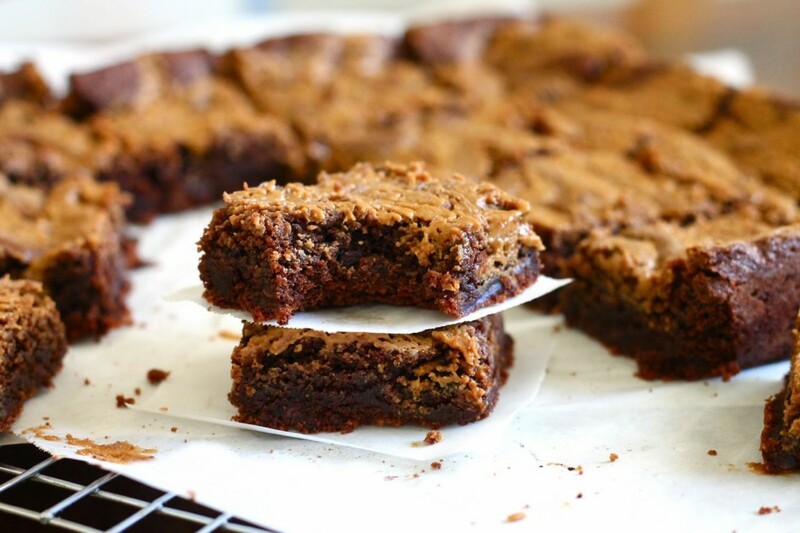 Work, Midsummer, a movie, and then these brownies. Hard to believe but in all of my from-scratch baking endeavors I’ve only tackled two different brownie recipes. The first one was the first one I had ever tried from years ago, and then the second one is the Cook’s Illustrated recipe which is delicious and amazing and OMG. But still. Only 2 recipes? What if there are other amazing recipes out there I haven’t tried yet? So I figured I would try and test some more out. 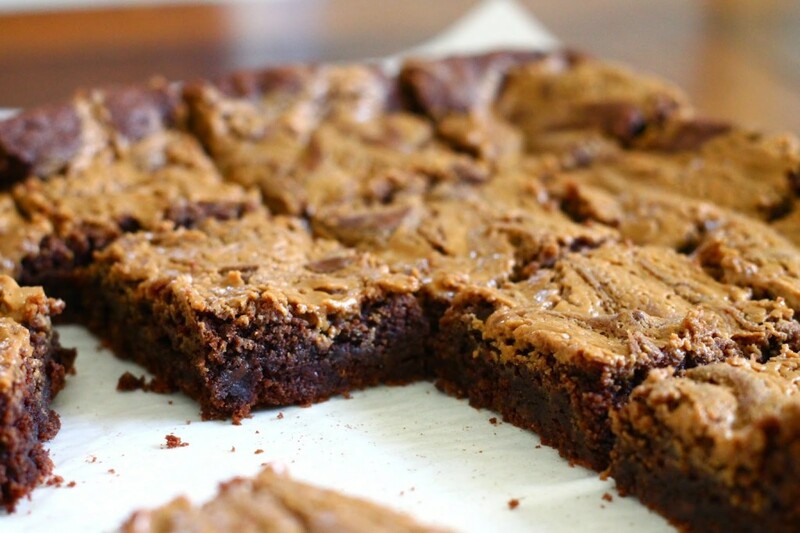 But I couldn’t just make regular old brownies. I decided to swirl some cookie butter on top because cookie butter + chocolate = delicious. 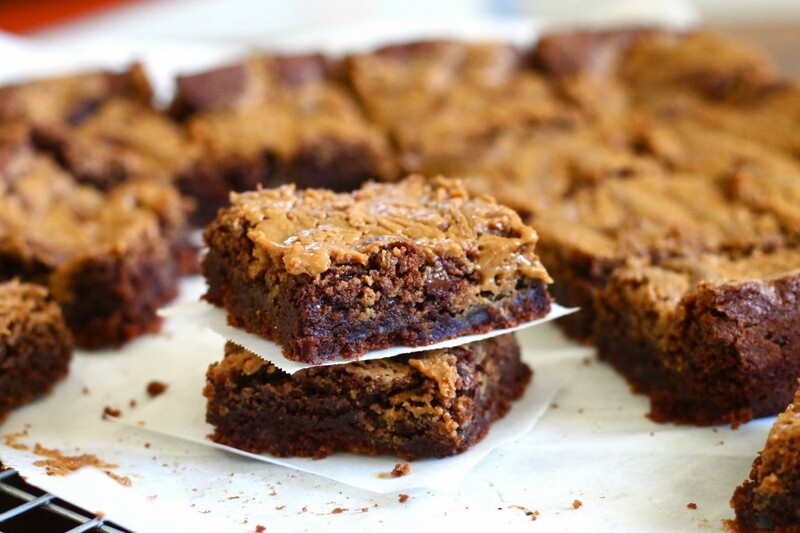 You can use the brownie recipe I used below or whatever one you like best, whether it’s homemade or a box mix! Just make sure to add the cookie butter. It’s adds an extra stick-to-the-roof-of-your-mouth deliciousness. Preheat oven to 350 degrees F. Line a 9×9 square baking pan with parchment paper. Set aside. In a medium bowl, whisk together flour, cocoa powder, baking soda, and salt. In a large mixing bowl, beat together butter and sugar until smooth and creamy. Add vanilla. Add eggs, one at a time, mixing well between each addition. Slowly add dry ingredients, mixing until everything comes together. Stir in chocolate chips. Spoon batter into baking pan, gently spreading the batter until it is evenly distributed. In a microwave safe bowl, melt cookie butter. Stir in powdered sugar. 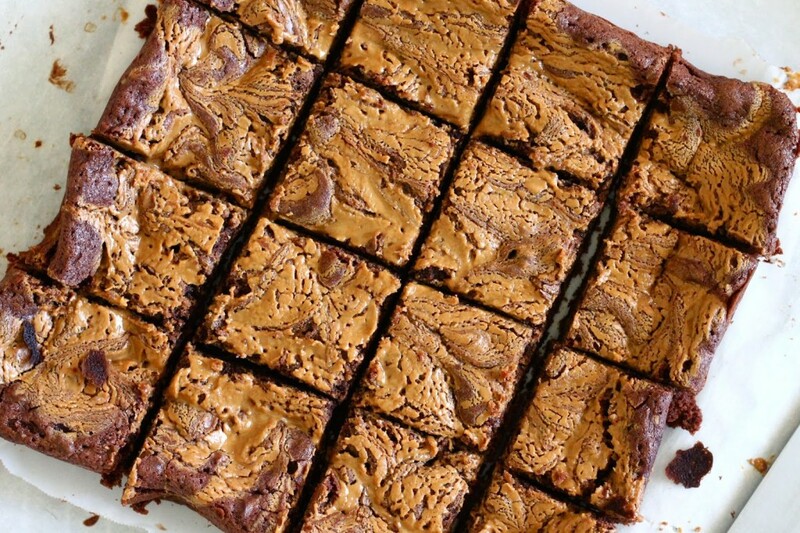 Pour melted cookie butter over brownies and use a toothpick to swirl/spread cookie butter. Bake for 20-25 minutes or until a toothpick comes out clean (cookie butter will still be melty) and the edges start to pull away from the pan. 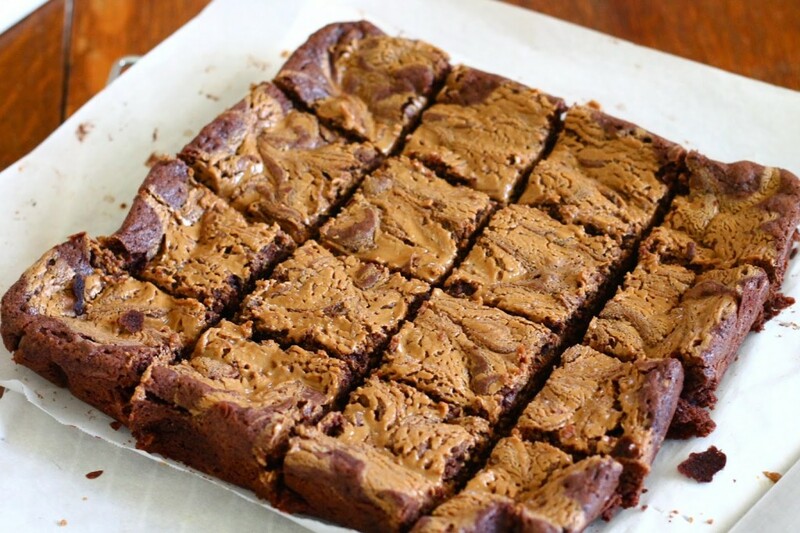 Let brownies cool in pan for 15 minutes and then remove parchment paper and let brownies cool completely before cutting/serving.